If you are reading this, it's probably because you are dealing with some kind of pest problem. Pests can cause all kinds of problems for you and your home, ranging from nuisance issues to expensive destruction! The truth is, if pest problems in your home get out of hand, you can find yourself facing a lot of hassle and expense to get things right. The truth is, the most effective pest control starts with contacting a professional pest control service to treat your home. You can save yourself a lot of time, frustration, and money by letting the pros handle the pest problems for you! But there's a problem, how do you find a pest control company that you can trust? After all, there's a whole lot more to good pest control than just pesticide application. The company that you call has to be one that you trust inside your home, one that you can count on to be reliable, and one that provides a fair assessment of your pest problems. If this sounds like the company you are looking for, then I would like to make a suggestion. 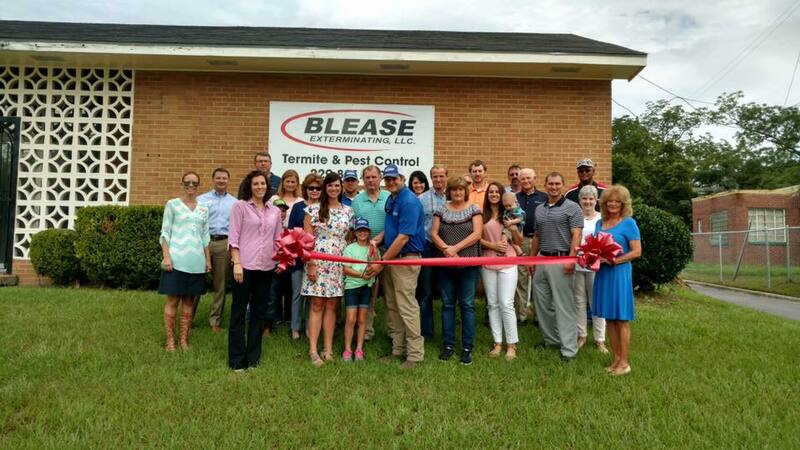 ​My name is Bruce Blease, I am the president of Blease Exterminating, a local Moultrie company with years of experience in the pest control industry! My team and I are committed to achieving a service that fills all of the above requirements and more! Our goal is to provide reasonably priced, high-quality service with integrity!